Performers include: Bonnie Hunt, Holly Wortell, Mark Derwin, Tom Virtue, Janet Carroll, Richard Gant, Eamonn Roche, Brian Howe, and Don Lake. 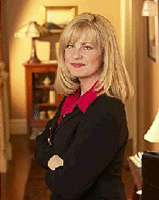 Bonnie Kelly (Bonnie Hunt) is a local television star who moves from Wisconsin to Chicago. Ever nice and wholesome, Bonnie gets the job of her dreams as a human interest reporter at WBDR-TV. The big city takes some getting used to but thankfully, she can lean on Holly Janofsky (Holly Wortell), Bonnie’s friend from high school, neighbor, and the station’s make-up artist. While figuring out her new surroundings, Bonnie gets a crush on her boss, the very busy news director Bill Kirkland (Mark Derwin). Meanwhile, her cameraman, Tom Vandoozer (Tom Virtue), develops a crush on Bonnie. Other personalities at the station include Diane Fulton (Janet Carroll), Bill’s nasty assistant; tough news editor Joe Briggs (Richard Gant); spacey video editor Andrew Wiggins (Eamonn Roche); and Sammy Sinatra (Brian Howe) the coffee guy. Keith Jedzek (Don Lake) is a limo driver and Bonnie’s next door neighbor and friend. Each episode includes segments in which Bonnie and Tom go on location and improv interviews with regular people. Not to be confused with Bonnie Hunt’s later talk show of the same name, this sitcom’s name was later changed to Bonnie. The sitcom ends on a cliffhanger as the Westingmouse corporation buys out WBDR and begins handing out pink slips. First aired: April 7, 1996. More proof of the brain dead at NBC. Bonnie’s show was an extraordinary lift to the spirit. These morons think that the disgusting housewife slutts are more enriching. I have not watched NBC since they showed their utter stupidity and do not miss the crap they have to offer.